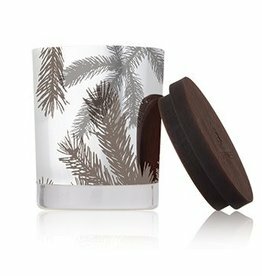 Mountain fresh and glowing, this festive scented candle sets the mood for those special moments that make up our life stories. 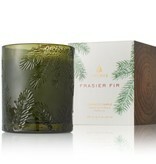 Fills your surrounding with crisp, just-cut forest fragrance that evokes Christmas memories. 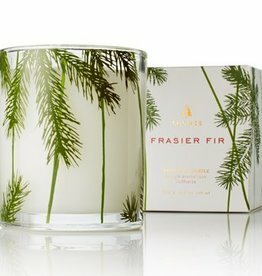 Our non-metal wick provides a clean, pure burn time of approximately 45 hours. 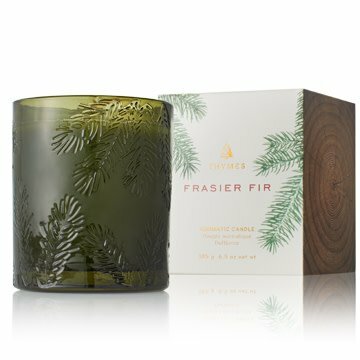 Combining ultimate luxury with the fresh fragrance of Frasier Fir, this delightfully petite candle is the perfect addition to enhance any space.